Health Care Fraud and Criminal Charges - Oberheiden, P.C. If you work for (or own) a medical business, you need to take great care when submitting claims for payment to commercial insurance companies or government programs like Medicare — especially if those claims come into dispute. Increasingly, minor medical billing errors and disputes are transforming into major federal enforcement actions, both civil and criminal in nature. It probably goes without saying that a dispute with the government (such as the Centers for Medicare & Medicaid Services) might arouse close inspection from federal agents. But don’t make the mistake of assuming that a private dispute between you and a private insurer will stay private. Whether your conflict is with CMS, a commercial insurance provider, or any other organization, agents have a convenient statute available to them if they want to leverage criminal charges against you: 18 USC §1347, the U.S. health care fraud statute. If you’re a medical care provider (or owner or employee), you need to understand how 18 USC §1347 can turn your ordinary health care claim dispute into a terrifying fraud case — and how to prevent that from happening in the first place. What Does 18 USC §1347 Say? 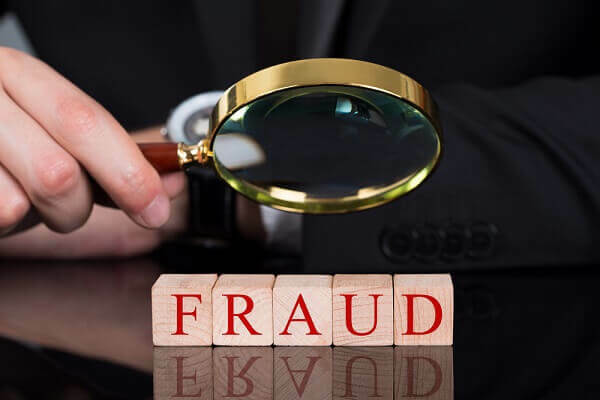 Any analysis of whether a medical practice is in danger of billing fraud charges must begin with the full text of 18 USC §1347, which is the principal statute used in health care fraud cases (though certainly not the only one). We’ll start with the language itself, then break it down in simpler terms in the sections to follow. in connection with the delivery of or payment for health care benefits, items, or services shall be fined under this title or imprisoned not more than 10 years, or both. If the violation results in serious bodily injury (as defined in section 1365 of this title), such person shall be fined under this title or imprisoned not more than 20 years, or both; and if the violation results in death, such person shall be fined under this title, or imprisoned for any term of years or for life, or both. When and How Does 18 USC §1347 Get Applied to Health Professionals? penalties (the potential prison sentences and/or monetary fines you could face after being convicted). Whoever: Note that anyone can be prosecuted under this law: patients, medical care providers (doctors, pharmacists, nurses, etc. ), business owners and executives, and even corporate entities. Anyone billing insurance companies or the federal government for health care services must be extremely cautious in handling invoices and/or claims disputes. In fact, given the constant wave of crackdowns in the field these days, we strongly urge any medical practice undergoing audit or review — or encountering questions from an insurance company that hint at suspicions of fraud — to contact an experienced health care fraud defense law firm right away. Proactive legal representation can make all the difference in how far your case goes. Oberheiden, P.C. is a defense law firm providing federal law services to its clients across the nation and focusing its services on health care providers and businesses. Our former federal prosecutors have a significant record of success and we are proud to offer free and confidential consultations to care providers with legal concerns. Contact us online or call (888) 727-0472 today. Health Care Fraud Defense Law Firm – Oberheiden, P.C.